After the 11-year civil war in Sierra Leone, many ordinary citizens in the rural villages were dissatisfied with the transitional process of the Truth and Reconciliation Commission and the UN-backed Sierra Leone Special Court. These were very much top-down processes that seemed to satisfy the needs of the international community but not the local community. I worked with Fambul Tok International, an NGO that was formed after the war to address community reconciliation through community-led peacebuilding efforts, including truth-telling ceremonies rooted in indigenous traditions. Fambul Tok means ‘family talk’ in Sierra Leone’s Krio language and is a grassroots process. The research was intended to assess Fambul Tok’s effectiveness as a community-based, post-war transitional justice process in Sierra Leone. As we drove through the dirt and rocky roads to access remote villages, the trembles of the car shook away my sense of worry as it reawakened childhood memories from my native country Haiti. It has been 300 years since my ancestors were uprooted around the same area in West Africa and brought to Haiti on slave ships. I said to myself, “I’m happy to be back after so long”. Through the focus group interviews I conducted, I was able to enter a sacred space within the Sierra Leonean culture. I was shown a mass gravesite where hundreds of bodies had been dumped during the war. As I walked closer to the grave, I could but imagine the suffering they endured. Every single one of them was human. Each had family and dignity and now they lay wasted, buried. How many humans have perished in countless wars throughout history? I felt my mind flood with anger and despair slowly crept into my soul as I was confronted by the meaninglessness of life. I shared a meal with a town chief and heard many stories. I believe stories are gifts and I carry every single one of them with me today as I write this piece. Through stories the spirit of people is passed down and remembered. A woman told how the rebels had burned down her house, killed her husband and daughter, and stole all her cattle. She recognized the perpetrator as her neighbor, and had known him since he was a child. Even though there was a lot of pain and sorrow, she understood that since he lived in the community, neither she nor the community could move forward without reconciling with the person who had caused this harm. I was shocked at how many people were willing to forgive. They said that healing the wounds of their society and village could not take place without it. They believed that it was an essential element to stop the cycles of violence. I was shocked because I expected to hear a more punitive, western approach to justice in which prisons are always the solution and the perpetrator is removed from the community. I observed that this was generational difference; most of the adults valued forgiveness while the youth quickly sought a punitive approach to justice. It seemed that most of the youth were too young to remember the civil war or had not lived it. However, the older generation recognized that the need for the collective reconciliation outweighed their own primal lust for revenge. There is a great need to localize justice processes all around the world in places of conflict; people need to be given a voice in shaping their own futures. I believe having a sense of ownership in the process of post-conflict reconstruction is fundamental and is one of the key ingredients for satisfying the needs of people after they experience war and its horrors. What would justice look like after the current conflicts in Syria, South Sudan, and Iraq? As we speak millions of people are isolated, displaced by waves of pain that continue to drown their sense of hope. Even though I acknowledge the value of various approaches to justice – restorative, retributive and indigenous – I do not wish to romanticism any one of them. What I know for sure is that we need to allow people to collectively decide for themselves and not impose a “universal” because context always matters. I believe this is what Fambul Tok has done, and has done well. As for me. I was changed in this way: having observed the experiences of the people of Sierra Leone and their ability to overcome the horrors of the war through their wealth in values, I am no longer bogged down by the trivial things in my life when something goes wrong. I live more lightly. 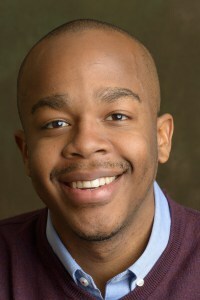 Fabrice J. Guerrier is currently a 2nd year graduate student at CJP. He was born and raised in the Republic of Haiti. He completed his B.S. at Florida State University in International Affairs with a focus in Political Science. He also holds a Leadership Studies Certificate through the FSU Center for Leadership and Social Change. Fabrice founded and ran a small non-profit think tank called The LEEHG Institute for four and half years. He has extensive leadership experiences in community outreach and student organizations and has a chapter published on his work in the newest edition of the Student Leadership Challenge book by James Kouzes and Barry Posner. Fabrice interned this summer at U.S Department of State’s Bureau of Democracy, Human Rights and Labor in Washington D.C. He currently works as the Graduate Research Assistant for the Zehr Institute for Restorative Justice. I read a book about a girl from Sierra Leone who had her hands cut off by the rebels attacking her town. What amazed me was that she never expressed anger towards the rebels or her attack, only heartbreak for all that she had seen. Fabrice I was referred to your blog one of my professors, and I am very happy to have read it. Your experience sheds light to real life post war and atrocities, and how the current “one size fits all” model for change and rehabilitation isn’t the best for everyone. I agree with your point that these types of assistance and support are situational, and that they need to be supplied on a more micro scale instead of only focusing on the macro scale. In order to rebuild a country you must start with the villages and tribes. Though I find the idea very noble, I just don’t see it working with today’s conflicts. Reconciliation requires both sides of the conflict to come together and find common ground. But I have a feeling that terrorist organizations like ISIS are not interested in finding common ground. If they were, I think the conflicts would have ended by now. I am shocked how some people are willing to forgive those who have ruined their lives, however I do admire how true to their values they are, as well as how they overcome hatred for the good of the community. I sincerely hope that my fellow Arabs in the middle east take something from this text, especially after the long wars are over, and reconciliation begins. I find that my friend’s mother idles over the trivial things in life. She does to an extent that it affects my friend and her family. Then what if a more substantial conflict arises? What will that do to my friend and her family? I read this as part of an assignment for my social change and conflict resolution class. The issues that we’ve been grappling with in class were powerfully conveyed in this article. It was interesting to me that the victims of the tragedies in Sierra Leone are able display such an objectiveness; they are willing to forgive and seek resolution to the conflict rather than push their own motives and try to win an argument. We talked about the idea of “going to the balcony”, meaning looking at the problem from a third party perspective and being “above” the role of mere competitor. The concept of forgiveness ties into that lesson perfectly because one cannot exist without the other. Beyond that, it was amazing to see that forgiveness is applicable not just to small-scale problems but to mass injustices. It’s really incredible to me how these individuals chose to handle their trauma. Using compassion as an alternative to legal penalties is both admirable and challenging. Overall this was a very beautiful article!